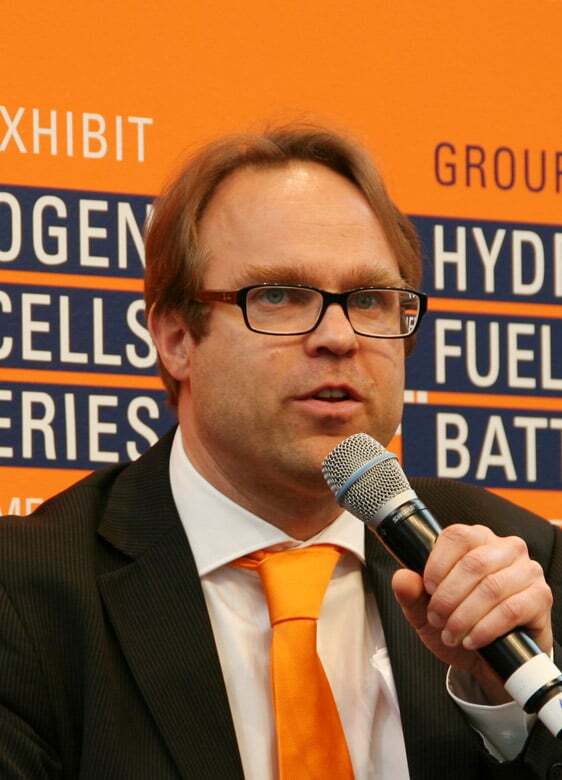 The Fuel Cells Working Group in the German Engineering Federation (VDMA) has presented its new Fuel Cell Business Survey. To gather the latest data, the working group completed a survey of approximately 60 members and calculated representative figures on the basis of 40 substantial answers. According to the comments made by the director of the working group Johannes Schiel, “2014 didn’t go so well”. The turnover in the fuel cells industry in Germany with commercially available FC heating devices and power supply systems in 2014 was only a moderate EUR 70 million, after EUR 50 million in 2013. As, according to Schiel, these figures correspond to “something of a sideways development” at a low level, the authors of the business survey promptly reduced their expectations for 2020 from a previous EUR 2 bn. to EUR 1.8 bn. Among other reasons, Schiel described the cause for the stagnation as being “uncertainty caused by the amendment of the German Renewable Energy Act (EEG)“. In a further result, it was determined that there are also delays to the short- and medium-term introduction of technology. For example, the 100 million Euro threshold of sales in Germany has been achieved around two years later than originally expected. Despite this, the VDMA is looking to the future with optimism, and for the current year it is expecting growth to total 80%. As expected, according to the employment figures for 2015, approximately 1,900 people currently work in the parts of the FC industry that were surveyed. Although the authors describe the technology as largely having matured, the VDMA has requested additional methods for a “successful leap forwards to series production.” Executive Chairman of the Fuel Cells Working Group, Dr. Manfred Stefener, also Managing Director of Elcore, said the following: “What the fuel cells sector needs is reliable framework conditions”. Moreover, Schiel also reported that discussions had taken place with the corresponding government ministries and that “the world of politics has signalized that funding will be provided”. The figures stated in the business survey include a premium in total of 75% (2014/2015) and/or 100% (2020) which the authors of the study added to the basic results of the survey.